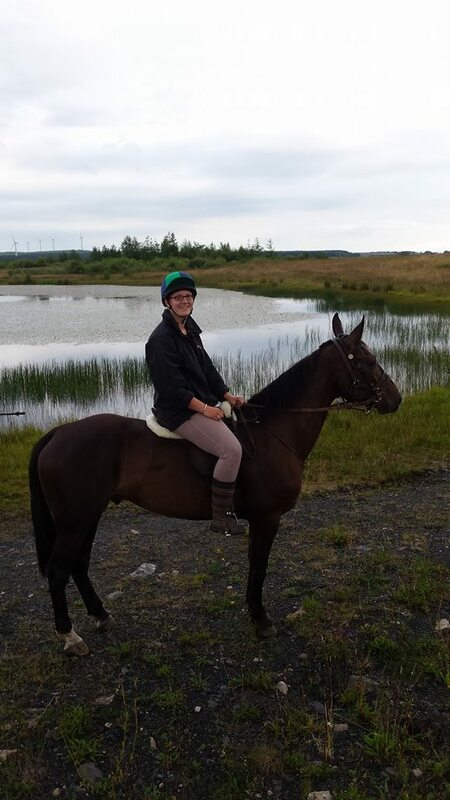 In October 2013, I decided I was going to buy a horse. 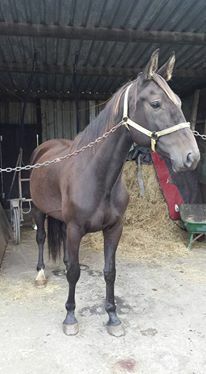 The entries for the Brightwells Standardbred Sale at Builth Wells had been received at STAGBI and as I was working through the list to ensure that they were DNA parentally verified, I came across the entries from the Laidler stables. 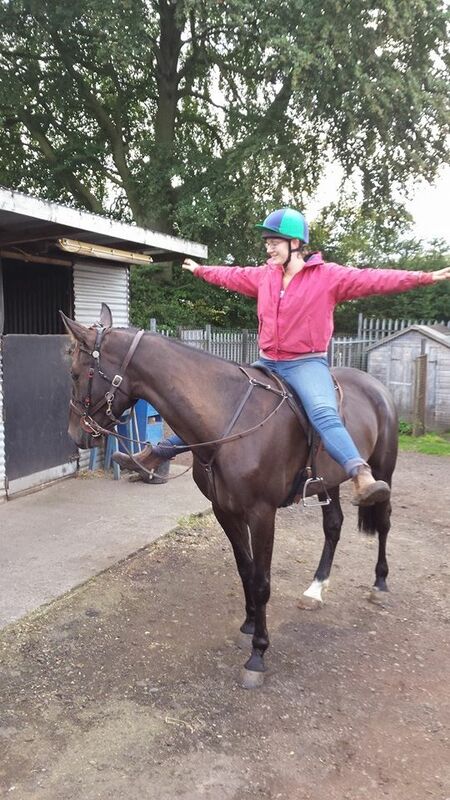 One horse jumped out at me: Merrington Missile. I asked Smarty to tell me everything he knew of the horse, and his opinion as to whether it would be a suitable training project for my first summer in Scotland which was scheduled to be May 2014 onwards. 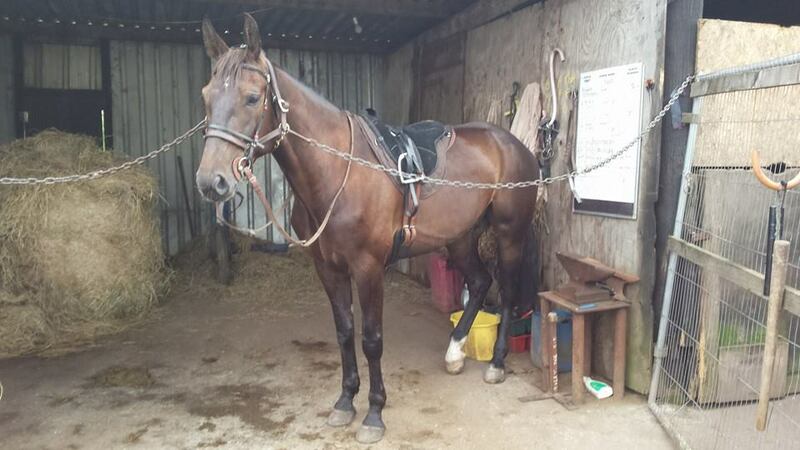 I knew the horse was broken to ride, which gave me the option of selling him on as a rider once I'd tried racing him. I'd already seen him race during the 2013 season with Rocker and Alexis' son William driving him to victory in a C Class race. 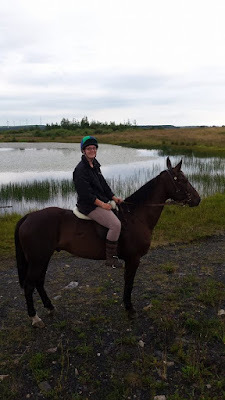 If they were willing to put their teenage son on the horse, plus ride him in saddle races, then he seemed alright for a novice trainer like me. The horse had won the Breeders Crown 3YO Colts & Geldings in 2012, as well as finishing second in a heat of the York 3YO Championship. He had potential, and had won a number of other handicap races (many of which were penalty free), therefore would start the 2014 season as a Grade 1. We agreed that we would check him out at the sale, and for the right price we would buy him for me to train. John subsequently did some digging via a friend who was an owner in the stable and found out that there was a reserve of £1500 for him. This was more than we were willing to pay for him so the decision was made to let him pass us by, and I could train one of the geldings the Smart's had in the field. 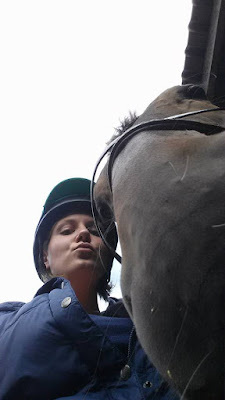 I didn't want to do that, as I wanted my own horse to train where I was answerable to nobody, but agreed that it was probably the best course of action. On sale day, I was busy in the sales office (which had been moved away from the sale ring, unconveniently for me) with the Brightwells staff as it was my first year working alone without my supervisor who was unable to attend. I was responsible for all transfer forms being completed and printed with the new owner's details, plus releasing passports for all horses, sold and unsold. Alexis Laidler arrived after the sale had started and entered the office to hand in the necessary paperwork, and whilst there requested a change of reserve form from the Brightwells staff. Being the nosey person that I am, as she was about to leave I asked her what the reserve on Merrington Missile was. She told me that Rocker had said 'he had to go' so there was no longer a reserve on him. That was all I needed to know. I found Smarty in the sale ring, told him this and asked that he go to check the horse over for any obvious signs of wear and tear that would prevent him from being a sound purchase. A buyer's number was subsequently obtained and he was left in charge with the sole instruction not to go over £800. I memorised the buyer's number and waited. Smarty arranged for the O'Neils to transport him back to Ayr, where he would collect him during the week. After all the paperwork in the office had been dealt with, I ran up to the stables to see my new purchase for the first time - what a disappointment that was. He was that intent on eating his bedding that I couldn't get near him for fear of losing a limb. That was when I found out that nobody interrupts Missile when he's eating. Thankfully Ryan O'Neil was able to catch him and he went back up to Scotland, having raced up there the day before in a saddle race, where he finished third. He had a busy couple of days that weekend with plenty of travelling. The following day I must have rejected at least 3 separate offers from people who had either been at the sale and missed to buy him, or who didn't make it to the sale. I thought long and hard about selling him on immediately for a small profit, but he had already gotten under my skin. That was the beginning of our relationship; I felt I owed him something. 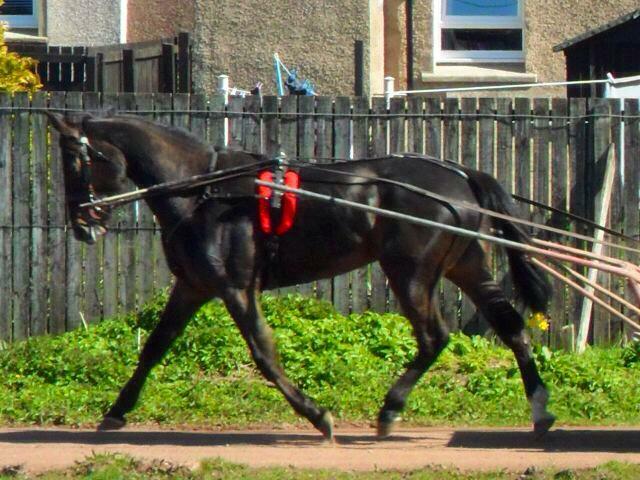 When I moved up to Scotland in May 2014, Missile had already been in work for a couple of weeks with Smarty. 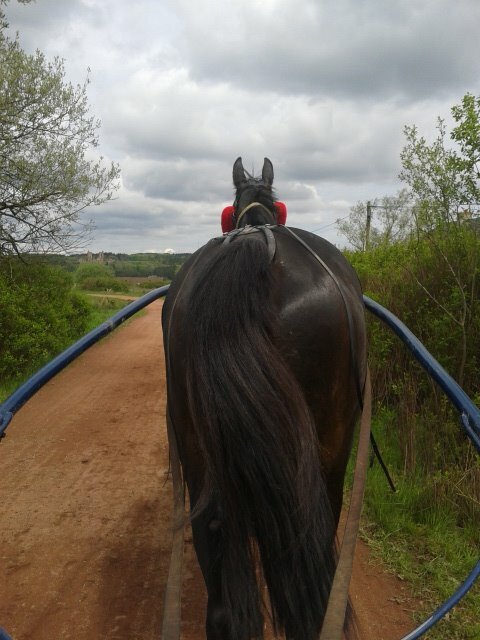 He had learnt to trot whilst being jogged instead of pace, and had slowed down his jogging speed due to the size of our track in comparison to the Laidlers. For weeks I struggled to get along with him - he simply didn't like me. He was grumpy to handle, but a gentleman to jog. We finally found a routine that worked for both of us and as time passed, I think he grew to like me in some small way. I began hacking him out around the village and found him to be a wonderful riding horse, with lovely paces and a great temperament regardless of whether we were in heavy traffic or open countryside, alone or in company. This was despite him only having been ridden a handful of times and with the purpose of racing. Hacking became something he enjoyed and was suitable for. That would be the only race that we would win, although there were a handful of second and third places along the way in what turned out to be only 8 starts from July to the Murdock weekend in September. He wasn't the sort of horse you could race week in week out, and I didn't want to sour him. When the time came to advertise him for sale as a rider, which had been my plan all along, I didn't expect much interest straight away. However, after advertising him on a Tuesday evening, a young girl came to try him on the Friday and he was sold there and then. I requested permission to race him on the weekend before delivering him on the Monday, as Nicola McGregor and Lee Cattigan were down to drive him in the Ladies Race and C Class Race respectively. 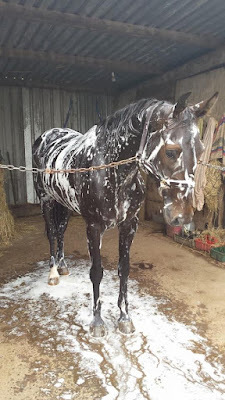 He raced, finishing third with Lee and out of the placings with Nicola who gave him an easy drive knowing he was going away the following day, and his racing career was ended on a relatively high note. He had won me £760, given two 18 year olds a bit of fun on the track and given me a summer of great fun, both on and off the track. Without him, my adjustment to life in Scotland would have taken a lot longer; every day I had something to get out of my bed for. Thanks to him I made friends in the village who I hacked out with, and friends at the track because I was there so often working him out or racing him. 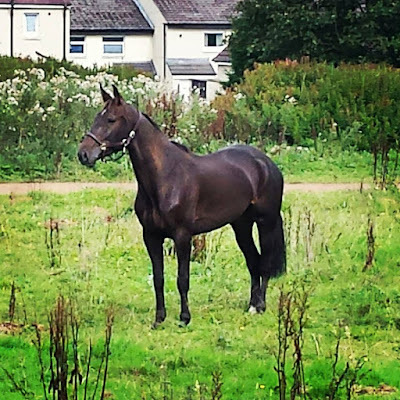 On September 14th 2014 he was delivered to his new home in Hawick, Scottish Borders, and I thought that would be the making of him in a home where he would be ridden regularly by a girl who adored him and his quirky personality. Unfortunately, that didn't work out. The girl's personal circumstances changed dramatically in May 2015 and she was unable to keep him. Rather than see him passed from pillar to post, or end up with people who didn't understand that his grumpiness was a part of who he is and not something that can be beaten out of him, I bought him back. People said I was too sentimental, but I had grown fond of Missile and I wanted a good home for him; a home that I was able to check before he left me again. When he came 'home', he wasn't in the same condition as that in which I had sold him. I appreciate that he had gone through a winter and was entitled to lose condition and the shine he'd had during the summer, but with the benefit of hindsight I don't think the girl was prepared for looking after a horse of that size. I knew I couldn't find a new home for him as he was, so turned him out for the summer, first with a herd of mares, then alone for a short spell, and then with Cassius Clay, our 4yo Hasty Hall gelding. For four months all I saw of Missile was what I could see over the gate to the field. He was left to be a horse, put some weight on, and enjoy what little of the summer we had. On Tuesday September 15th, Smarty and me went to the field to bring him in, ready to prepare him for being sold. He came to us immediately after spotting the feed we were carrying, and the trademark ears-back-teeth-out face appeared. All we could do was laugh: Missile was feeling himself again. We caught him, walked him through the village to the stables, groomed him and put him in his old stable for the night. I advertised him that evening, not expecting too much interest too quickly. That same night, I received an enthusiastic message from a lady who lived not too far from us, looking for a horse for her teenage daughter. They were keen to come to see him and try him out, but I needed time to get his feet trimmed and tidy him up a bit. I initially put them off to the Thursday evening, however on the Wednesday evening they contacted me asking to come and see him that night (less than 24 hours after he was advertised). The Jockey had trimmed his feet for me and I took him for a quick spin around the track to make sure he remembered what being ridden was all about, which he did. The lady and her daughter arrived, fed him some carrots, watched him being tacked up and then away the girl and Missile went. For the best part of 45 minutes, she walked, trotted, paced and cantered around our track, laughing at his vocals and enjoying the feeling of discovering an extra gait. She untacked him, fed him the remainder of the carrots and they agreed to contact me as soon as they were home to let me know what they wanted to do. As soon as they'd left I knew he was for them. It was the way the girl laughed at him when he pulled his faces, kept his attention by sharing carrots with him and persevered with getting him to canter despite him not knowing her signals. For reasons unknown to me, Missile appeals to teenage girls, and he seems to actually like them in a way that he has never liked me. Sure enough, the lady rang me when they got home and told me it was a resounding yes. On Sunday, 20th September, we delivered Missile to their livery yard in Carronshore. I couldn't have hoped for a better home for him, with a young girl who had already made promises that this would be his final home. There were invitations to visit, promises of photos and updates and even requests to her mother for a sulky after seeing our racing ones. I even agreed to help source another pacer for the girl's mother who wanted to hack out with her daughter and Missile. The day was one of mixed emotions for me. I had found the home for Missile that I had dreamt of. The kind of place every horse who retires from racing deserves, but that most don't find. I knew he'd be alright because he'd struck up a bond with the girl almost immediately, and I could see she had the confidence to let him know that she was the boss. Things did not go smoothly however; that night, I received a call to say that the horse was lame and that he had to be returned. I knew in my heart of hearts that the only cause for this must have been the set of shoes that the Jockey had put on that morning; whether it was a stray nail or the hoof had been cut back a bit tight. But other people at the livery yard had spotted the white marks on his hind legs from when he had treatment for curbs on his hocks. This is a standard procedure carried out by veterinary professionals and all will tell you that when done correctly, there are no further problems for the horse. A pleasure horse can live with curbs, and I expect a racehorse can to a certain degree but it was a corrective procedure carried out on Missile that he arrived to my stable having had done, and it did not cause him any problems whilst racing. This lack of knowledge on their part (after they also wrongly told the new owner that the marks were because the horse had been nerve-blocked in his hind legs) coupled with someone from the harness racing telling the livery yard owner that Missile had 'broken down' on the track, put an understandable fear into the new owners that I had mis-sold them an unsound horse and had not declared any of this. Naturally, I was upset. 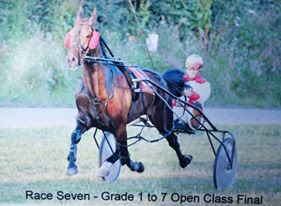 I was upset that the horse was lame, however could account for this as he had not been lame when tried out or delivered, but more upset that somebody who I spend my weekends racing with would tell such a vicious lie which appeared to be sabotaging the horse's chance of a forever home, whilst also tarnishing my name. If I owned a racehorse which broke down and could no longer have a racing career, nor could it go on to enjoy life as a riding horse, unless I was able to keep it as a companion (and it was able to live pain free without constant medication), I would have the horse put down. That makes me sound like a monster, but I have seen neglected horses. This country is full of them. We don't eat horsemeat, and we don't export enough of it. There is effectively no trade on horsemeat and no system by which to monitor it like there is with cattle and sheep, no matter how much DEFRA protest otherwise. Putting a horse to sleep is an act of kindness; if I can't find a satisfactory home for my horses in those circumstances, or they are not suitable for such homes, then I would do the kindest thing. You can rest assured that if Missile had indeed broken down, and that would jeopardise his ability to be an effective riding horse, and I was unable to let him live out his days with me, then he would have been put to sleep. I would NEVER sell a horse that was not fit for purpose to anybody. 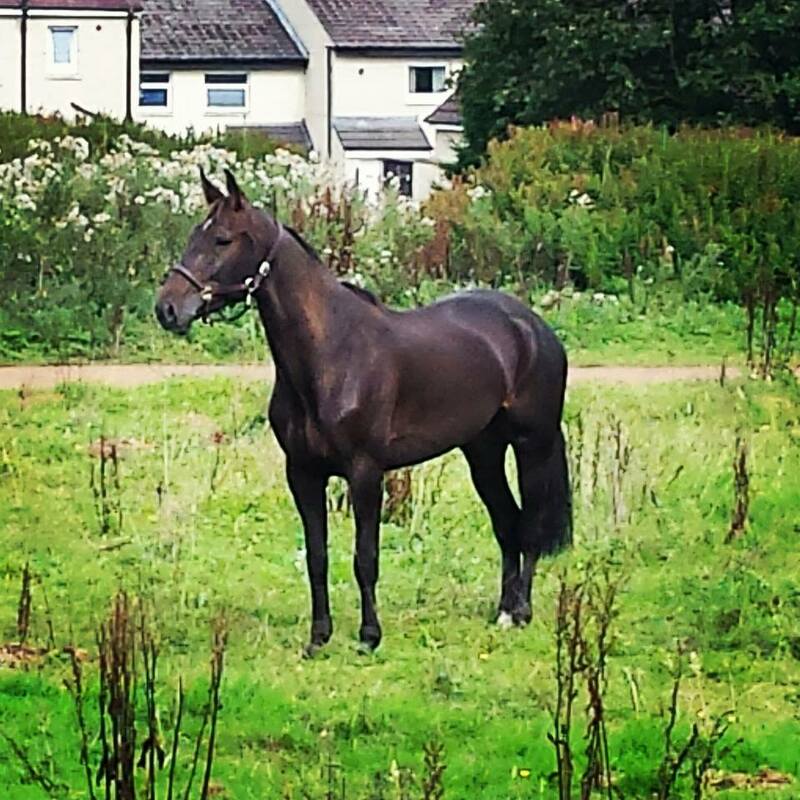 Missile had raced throughout 2012 as a three year old; throughout 2013 up until the day before I bought him at public auction, and throughout 2014 up until the day before he was sold as a riding horse. His BHRC race record proves this; at no point is there an unexplained absence from racing which could be accounted for as him having broken down. So the insinuation must then be that we would race a chronically lame horse. The Smarts have been in racing a long, long time, and they may have been historically known for being non-triers (those days have long gone) but they sure as hell aren't known for running horses that aren't 100% right. I wouldn't put a horse on the track knowing there was something wrong. I can only wonder as to the motive behind this lie. 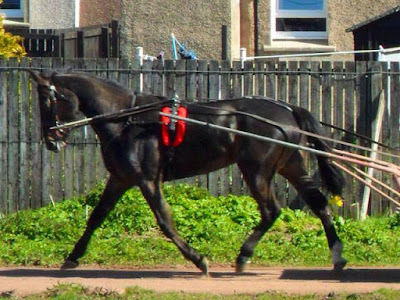 I know who the person is that told it as well - to you I say this: the new owners of Missile have taken professional advice from a farrier and a vet, who have both confirmed that upon inspection he does not display any signs of any significant injury to any of his legs. There is no damage to his tendons, and the current lameness is as a result of over-zealous trimming which will be resolved in a week. To those who share the livery yard with Missile: use this as a lesson. Do not judge a horse, or its sellers, by the words of others. Research before you make statements about things you do not understand or know about. Do not allow your jealousy at someone purchasing a stunning animal cloud your judgment. I look forward to visiting you all and being able to carry my head high knowing that I sold a good horse in good faith and with all relevant information disclosed. I have had word from the new owners that Missile has settled in well. He follows the girl around the field like a giant Labrador; when she lays on the grass to do her revision he wanders around her sniffing her boots and her hair; he has followed her over small jumps in the arena when loose-schooling; and he stands in the evenings whilst she does carrot stretches with him. As unfortunate as his temporary lameness may be, the two of them are building a bond that will carry them through to the end of Missile's life. The end of the Missile era for me is here. The Missile has been launched for the final time.